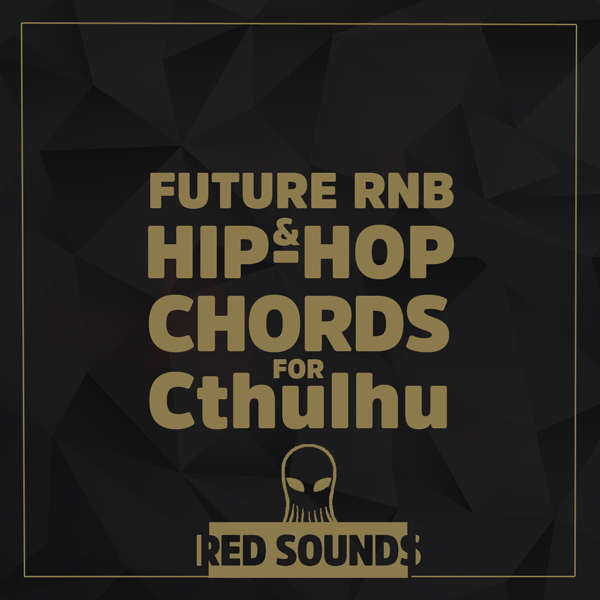 FUTURE RNB & HIP-HOP CHORDS FOR CTHULHU – INEXHAUSTIBLE SOURCE OF INSPIRATION FOR BEATMAKERS, PRODUCERS AND DJS. LATEST VERSION OF XFER CTHULHU IS REQUIRED TO RUN THESE PRESETS! After top selling Future Chords For Chulthu pack, Red Sounds are back with a new portion of fat chords for Cthulthu. The concept behind this pack was to create a modern, high quality and easy to use beat starting tool for overcoming struggles with the creative chord progressions. GET RID OF A BEAT-BLOCK IMMEDIATELY! THIS IS YOUR BEST INVESTMENT IF YOU ARE MAKING HIP HOP/FUTURE BEATS. This soundset is inspired by artists and producers like: Metro Boomin, Drake, Post Malone, dvsn, ILOVEMAKONNEN, Mike Will Made It, Migos, Majid Jordan, PARTYNEXTDOOR, Roy Woods, The Weeknd and others. It is so unbelievably easy to make fantastic beats in seconds, because these chord progressions are proved in chart-topping records already. Add the ARPs on top of them in the higher registers and you will come up with a gem in a few touches. HOW THE PACK WAS MADE? We analysed the newest songs by top Hip-Hop/Future RnB producers and made similarly feeling chords. Every preset contains a chord progression in the beginning, plus there are additional chords for substitution or for adding a different character. All chords from the presets are in the same key. ON TOP OF EVERYTHING THIS PACK INCLUDES, YOU WILL GET ALL MIDI FILES FROM THE DEMO, 7 CONSTRUCTION KITS FROM THE DEMO AND 12 ONE SHOT INSTRUMENTS AS A BONUS. Throw these one shots into your favorite sampler and get all synths and 808s from the demo. These samples were made from other Red Sounds products. All demo tracks in this pack were made using only Red Sounds products: OVO Emotional Sounds For Massive 2, Trap Serum, Vox Engine 2, Chainflume, OVO Inspired Drums.